Garam Masala is to Indian cuisine what basil is to Italian food, indispensable and traditional. It’s a combination of many different spices, blended together to make a traditional Indian spice mix. You will find Garam Masala Powder in every single Indian kitchen. A fascinating story of Garam masala powder is that although it is used in every Indian household, each region, state and household have their very own unique recipe. The most common or basic spices used to make Garam masala powder are cardamon, coriander, cloves, cinnamon, cumin to name a few. They can range from a mix of only 3 spices (like the Bengal Garam Masala powder) or up to 25 spices (typically the Northern Indian region). 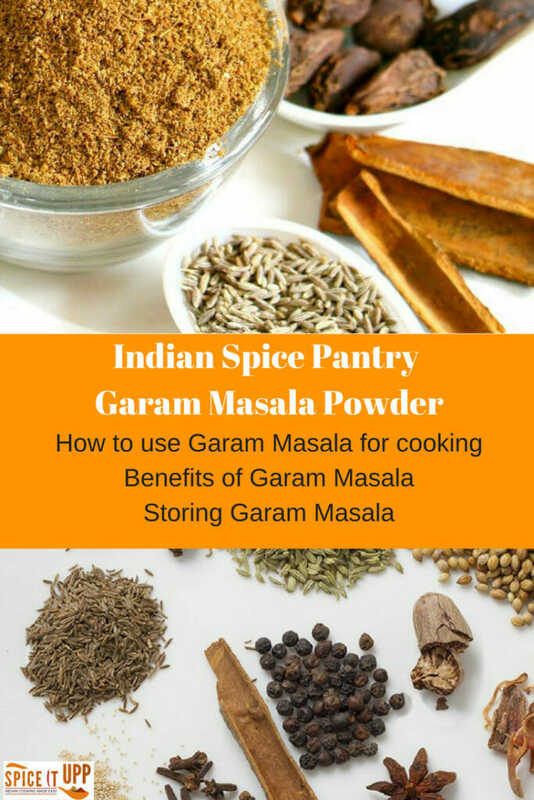 There is no wrong or right way to make or buy Garam masala powder. It’s up to your personal or household preference. ‘Garam’ is an Indian word for ‘Hot’ and ‘Masala’ means ‘Spice’. Essentially a hot spice but the funny part being that there is no chilli powder used in any Garam Masala recipe. Its the combination of various spices that renders this spice its spicy edge making it a warm spice. This is the universal name for the spice in any language. As the name suggests, Garam Masala is a warming spice with a sharp, pungent flavour. Since there is no set recipe for this traditional spice blend, the flavour profile too tends to vary. Some Garam Masala powder is more robust and strong compared to others. I always advise caution when using Garam Masala powder in recipes. Since it is a spice blend of other warming spices it can be very overpowering if used more than the required amount. Always use 1/2 to 2 tsp of this powder if making a dish serving up to 6 people. Garam Masala can be added during the cooking process directly into the dish while making the base sauce or in the end as one of the last steps to cooking. Although an Indian spice blend, you can use Garam Masala for making soups, stews and stir-fries. Add it to your regular omelette, coleslaw, salad, dips or mayonnaise and give it a spicy twist. Fights Diabetes – Almost all garam masala powder recipe contains cinnamon which helps to keep blood pressure under control. With the added benefit of other spices, this spice blend is said to assist with maintaining sugar levels. Aids digestion – Since Garam masala powder is a warming spice, it increases the body temperature which in turn helps to digest food better. Improves Constipation – Due to its digestive quality, adding Garam masala to meals can help in curing constipation by releasing digestive enzymes. There are many different brands selling Garam Masala. Even a regular supermarket stores jars or packs of this King of Indian spices. My favourite is the organic range of spices especially when it comes to traditional spice blends. Such as this one from Waitrose in the UK. 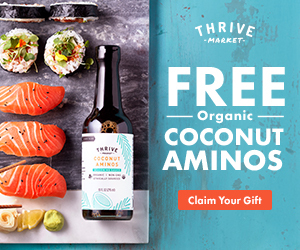 The equivalent to the above spice mix in the US is made by Frontier Natural Products. If its the popular household brand that you are looking for then this Garam Masala Powder from East End is one of the best selling brands. I would recommend buying a Jar or resealable pack of this spice as opposed to buying it lose. Due to the nature of the different spices used, Garam Masala may lose its freshness if not stored correctly. Keep it in an airtight container away from light and heat. Well stored Garam Masala will keep its character and flavour for almost a year. 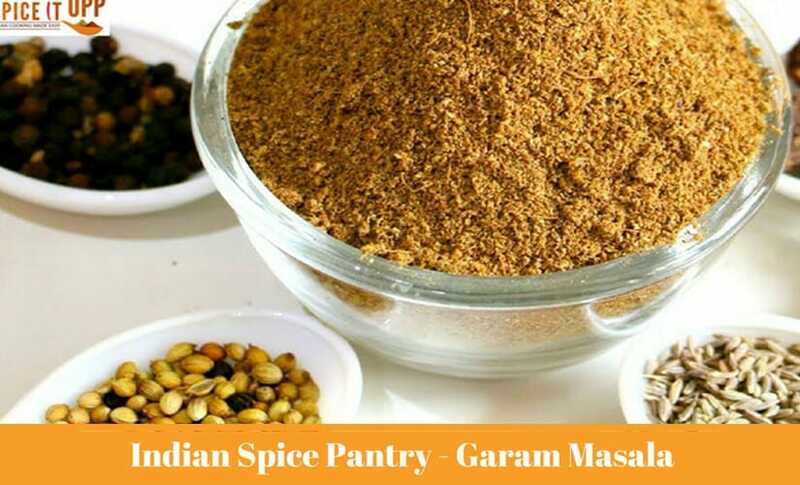 Garam Masala is a spice blend and hence can be used with almost all kinds of food and other spices. Due to the diversity in the spice mix, there is no set flavour profile for Garam Masala and so it is difficult to replicate its taste. Few spices that can be used in lieu of Garam Masala is cumin powder, coriander powder, cinnamon powder or even curry powder however in moderation. To make 1/2 cup (65 gms) of Garam Masala Powder. Put all the whole spices in a warm pan and gently bloom it without any oil for 1 – 2 minutes. Once cool grind into a powder and store in an airtight container. PS – If you find it difficult to buy or use whole spices, you can buy the powdered version of all the spices described above and mix it in the same ratio. I love to hear your kitchen adventures so please share any recipes based on Garam Masala that you love. This is wonderful! I will be sharing with my mom! Love your blog, your writing and your content! I found this post quite engaging and informative! I have heard of garam masala but never really knew what people did with it so thanks for this awesome post and keem em comming! Thanks Erika for your comments. So glad that you found this useful. I’m guilty of buying massive bags and keeping them for too long when open. It is so much more flavoursome fresh like yours…. Fresh Spice and Spice blend do make a huge difference. I try to make them whenever I can. A little goes a long way! I was very happy to find this post. This is especially true since I have this spice in my pantry and I am not all that sure of what to do with it.